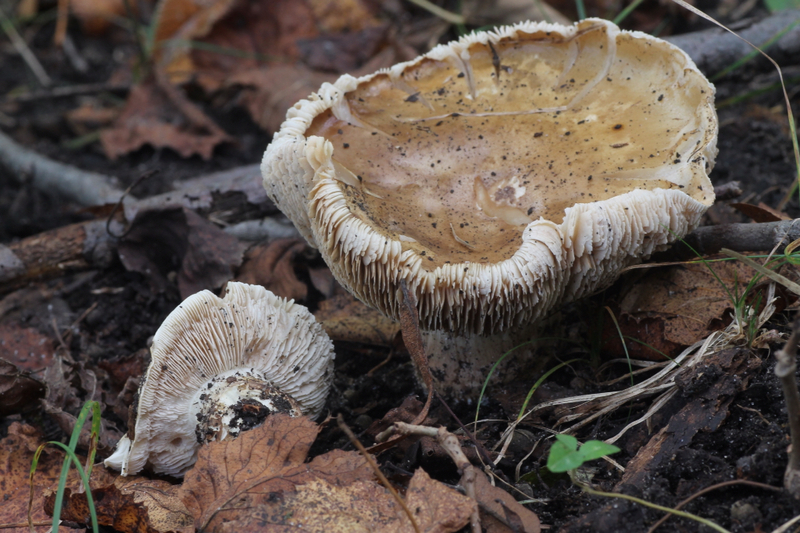 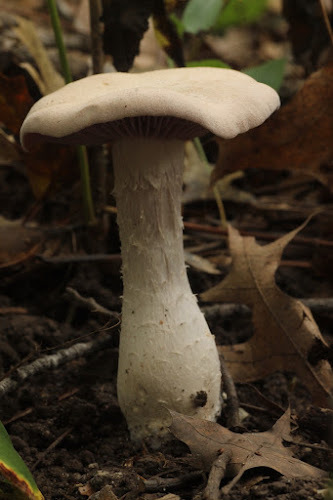 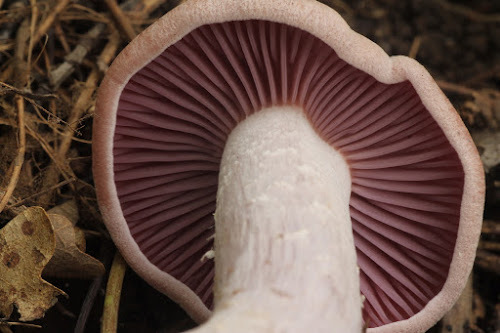 Features of this genus include a white spore print, thick mycelium at the stalk base, and gills that separate in a distinct layer from the stem. 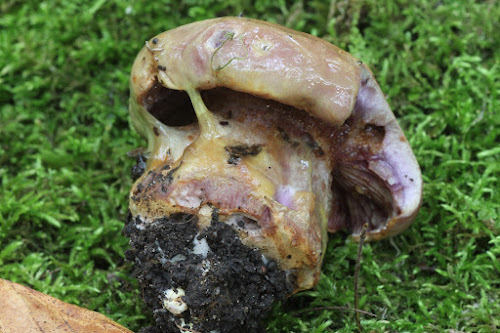 Cortinarius is probably the largest mushroom genus in the world. 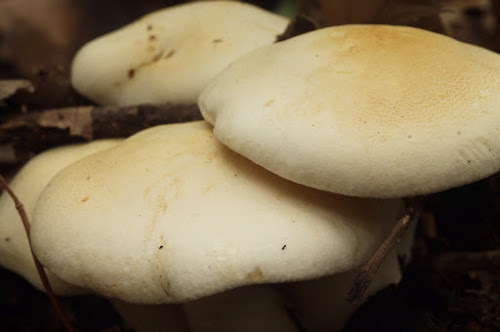 North America alone may have up to 500 species. 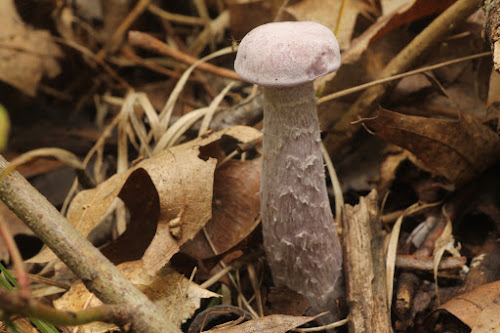 A number of them feature slime, violet colors, and bulbous stems.